Your dog needs a comfortable place to rest their head at night, and one of the best ways of ensuring that they have sweet dreams is by providing them with a comfy dog bed. Not only is a good night’s sleep important for their health, but a bed of their own helps your furry friend to feel safe and protected. It will also help to keep them off your own bed! Choosing the best dog for your four-legged friend can feel like a complicated process, but to help simplify the process we have selected 15 of the best pet beds currently on the market. So, here is our guide to the best dog beds for your canine companion. 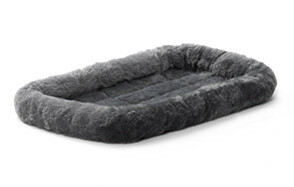 This premium dog bed comes complete with a four-inch memory foam base for increased comfort. The smart design offers both cosiness and support, as well as improving health, enhancing mobility, and increasing energy levels. Choose between four different sizes depending on the dimensions of your dog. When it comes time to clean the bed, you can simply remove the cover and it is machine washable. The polyester and cotton-blended fabric helps to ensure a comfortable night’s sleep. 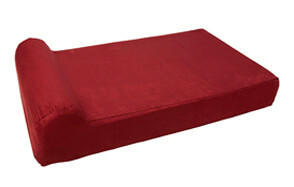 A large dog bed which is suitable for bigger pooches, it can support canines weighing upwards 100 lbs. Made from high-quality materials, it is designed to provide a cozy sleeping place for dogs and will last for years to come. If your dog has joint pain, this is an ideal option for them. As well as an orthopaedic foam base, it also has a cotton-padded rim, which is specially designed to contour to the shape of your dog’s neck. On the bottom is a non-slip rubber backing which stops it from sliding on hardwood or tiled flooring. Remove the cover and you can wash it in the machine as needed. This cleverly designed luxury dog bed comes in several different sizes and colors. It is raised at two sides to support your dog’s head, while their body can rest comfortably below. This ergonomic design creates a cradle-like effect, and it is also easy for older or arthritic dogs to access. The design is stylish enough to blend in seamlessly with many different types of home décor. When you want to clean the bed, simply zip off the cover and you can clean it in the washing machine. A cozy donut which will swallow up your dog, this is the perfect option for pets who love curling up in a tight ball. Around the sides is a raised rim which offers support for their head and neck. The soft filling helps to cradle your dog and relieve any joint or muscle pain. The self-warming, luxurious material is designed to remind your dog of their mother’s coat. The bottom is water and dirt-resistant to stop anything seeping down onto the floor. It is safe for cleaning in the washing machine and drying in the tumble dryer. This simple and affordable dog bed is specially designed to fit inside dog crates, carriers, and pet homes. The cover is made from a fleece material and it features a cozy polyester cushion, while the rim around the side provides a place for your pet to rest their head. 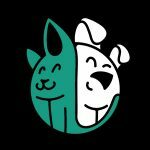 We all know that taking your dog in a crate or carrier to the vet can be a stressful experience but having a comfortable place to lie makes it easier. When you need to wash the bed, you can just throw it in the machine. A different style to the others we have so far discussed, this one is off-the-ground. The central idea is to encourage airflow to keep your dog cool, so it is an especially useful addition to your household during the summer months of the year. As for the fabric, it is made from breathable high-density polyethylene, which is resistant to fleas and mites, as well as mold and mildew. While the frame is lightweight, the bed is also durable enough to support pets of all sizes. You can use this deluxe dog bed on its own or inside a crate. Several different sizes are available, so get measuring your pet to work out which is best. The synthetic fur which is bed is made from is ultra-soft and encourages regular use. Around the sides is a bolster cushion for your dog to lay their head on. And you will be pleased to learn that it is an easy maintenance bed, meaning that is suitable for a washing machine and tumble dryer. When you want to store it away or travel, you can simply fold the bed away. The simple design of this bed is suitable for all dogs to clamber onto, offering both joint support and pressure point soothing. It comes in a wide range of sizes and also a variety of colors, making it suitable for all sorts of dogs and homes. Providing your dog with a regular place to sleep is one of the best ways of ensuring that your furniture stays protected from dirt and pet hair since it is all concentrated in one place. When you need to clean the bed, zip off the cover and throw it in the washing machine. If you have always struggled to find a bed for your large hound, this could be the ideal option for you. This highly-rated large dog bed is made using therapeutic foam, so it should not flatten over time. In fact, the foam is designed to retain 90% of its original shape for 10 years or you can claim on the warranty. Featuring a raised section where your dog can put their head, this big dog bed has been handmade in the USA and you can tell the quality. It is a stylish addition to your home, as well as an excellent spot for your dog to drift off to sleep. Support and comfort are combined in this orthopedic dog bed, which is made using durable materials and high-quality workmanship. Several different sizes are available, so make sure to measure your dog properly before purchase. The foam base provides a firm foundation for your dog to lie on. The cover is entirely washable by zipping it off and putting it in the machine. It is waterproof a waterproof dog bed, so you don’t have to worry about it shrinking and losing its shape. A highly-rated elevated pet bed, this one has a mesh center which encourages airflow from all angles. It is fully waterproof, and it has also been specifically tested for strength to ensure that it ensures a wide range of pets. However, you should measure your dog to ensure that you choose the most appropriate size for them. When you get the bed, you don’t need any tools to complete the straightforward assembly. The skid-free rubber feet provide a stable base when your dog is sleeping. Whether you want to put this dog bed in their crate for more comfortable transportation or you would like to use it as a stand-alone sleeping mat, either option is suitable. The synthetic fur which it is made with is highly soft, while the grip on the bottom ensures it won’t skid. You can choose from three different designs depending on which you think would look best in your home. All of them are machine washable and dryer friendly. This durable pet bed mat is designed to be heavy-duty, so it supports bigger and heavier pooches. Once you put it down in place, the skid-free base helps to ensure that it is not going to slip around while your dog is trying to get comfortable. To provide your dog with as much comfort as possible, the bed has been filled with extra thick poly fill. You can zip off the cover and put it in the washing machine when you want to clean the bed. Offering both softness and support, this bed has been specifically designed to contour to the weight and pressure that your dog puts on it. Essentially, this helps to relieve aches in their joints caused by arthritis or similar conditions. There are several sizes available, so now is the time to get your tape measure out to ensure that you choose the right one for your dog. You can wash the cover in a machine and also put it in the tumble dryer on a low cycle. Essentially, this is a large dog pillow which comes in a wide range of different styles and designs. It is a comfortable and soft spot where your dog can rest their head at night. On top of this, it is also an affordable option. You can clean the bed in an open drum washing machine on a cold cycle. As for drying, you can put it in the tumble dryer on a low heat. You may think that you have already chosen your ideal dog bed from the list above, but it is worth taking a step back to ensure that you are making the right choice. After all, this is a product you will want to last for an extended period. So, here are some of the top things to consider. Obviously, one of the most important issues is ensuring that you choose the right size of dog bed. Now is the time to get out your tape measure to see precisely how big your furry friend is. Make sure that you choose a bed which gives your dog plenty of room, especially if they really like to stretch themselves out. If your dog is older or suffers from a joint condition like arthritis, you should start by choosing a bed which is easy for them to clamber into. One which features a dipped design may be ideal. You should also consider choosing a bed which offers increased support to their limbs. On the other hand, if you have an energetic pup, they may prefer a smaller, fluffier option. Each and every dog has a different sleeping style, so you should base your decision on how your dog likes to get their shut-eye. While some like to curl themselves up into a tight ball, others prefer to stretch out with their limbs all over the place. Take a bit of time to watch your pet while they are asleep, and it becomes easier to choose a bed which suits their sleeping style. While it may not be the only important factor, your budget is still going to have an impact on your decision-making. As you will have been able to tell from the above product selection, some dog beds are very affordable, whereas others can be quite costly. Of course, price isn’t the only indication of quality. You can also match this up with the reviews to ensure that you are getting an exceptional product. The style of your dog bed and how it fits into your house is another factor which you will want to consider. They are available in a wide range of sizes, shapes, colors, and textures, so if you are interested in home décor, this is bound to be important to your artistic eye. Since their bed is a place where your dog is likely to spend a lot of their time, it is bound to get covered in loose hair, dirt, and debris. So, the ease of cleaning is another important issue which is worth bearing in mind. Many of these beds are machine washable, and others are suitable for the dryer as well. Always double check what cycle they need to be put on to ensure that you are not risking any damage to your pup’s sleeping place. Giving your dog a regular, comfortable place to rest their head has a host of advantages for your four-legged friend. So, let’s look in more detail at a few of these plus points. Dogs love to have a place that they can call their own. Canines have an intrinsic need to feel safe, and their bed is a spot which they can retreat to whenever they would like. Just as your bedroom provides a sanctuary where you can escape from the stresses and strains of the world, the same goes for a dog bed as well. A dog bed certainly provides a more comfortable sleeping environment than having to curl up on the floor. The cushioning and insulation also help to keep them warm during the long, cold nights. Some come with higher edges, which offer protection from draughts. Historically, dogs would have stayed together in packs, sleeping together and finding warmth and companionship in this way. Domesticated dogs don’t live in the same way but giving them a comfortable and warm place to sleep will help them to remember their nature. Many dogs suffer from some type of joint pain, whether they have arthritis, or they are just getting older. If your sleep must sleep or lie down on a hard surface regularly, this can end up exacerbating the issue. Providing a comfortable dog bed will help to take the pressure off their joints. Plenty of dogs would love to sleep in bed with you if they are given the opportunity, or the sofa is also an appealing place for them to rest their head. However, regular jumping up and down from these high surfaces can end up putting unnecessary pressure on your dog’s joints, which is especially bad if they suffer from a condition such as hip dysplasia. Or if you have a smaller dog, they are bound to find it much harder to jump up and down from the bed, which could lead them to falling and injuring themselves. Most pet beds are much easier to get in and out of, so you don’t have to worry so much about injuries or worsening a pre-existing condition. Another major issue caused by your pet always sleeping in bed with you or on the sofa is that they are going to get fur, dirt, and debris all over the place. Not only does this look bad in your home, but it could also be problematic if you have a family member who suffers from allergies or asthma. If you buy a pet bed for your furry friend, all of this gets contained in one place, and it is much easier to clean. After all, many of these dog beds are machine washable, so your dog doesn’t have to suffer sleeping in a dirty environment. When you spend money on a pet bed for your furry friend, it makes sense that you maintain it properly, so that it lasts for as long as possible. So, here is some advice which will contribute to your bed’s successful maintenance. Most of the dog beds above (or at least their covers) are suitable for the washing machine, but you should make sure that you follow the instructions carefully. Generally, they are supposed to go in low-spin or cold-water cycles. Anything which is too aggressive can end up causing damage to the bed. If the instructions are not clear, you should get in contact with the manufacturer as you don’t want to risk ruining the bed. Some of the dog beds which we have discussed above are suitable for the tumble dryer, while others can be air dried. Conversely, others expressly state that you shouldn’t use one or the other method, so always confirm that you know which one is correct. Every product is designed differently, and each one has a specific method of care which you need to follow. Just because a dog bed can go in the washing machine, it doesn’t mean that you have to do this after every single usage as long as you clean it regularly yourself. All you need to do is wipe clean the surface using a damp cloth. You could also vacuum it to clear up any dirt, hair, and other debris which has accumulated. Frequent cleaning will give your dog a much more pleasant place to sleep, as well as ensuring the bed looks its best in your home. Another useful tip is to use a deodorizer which will keep the bed smelling at its best. Sometimes, you may find that your dog leaves behind stains which simply cannot be dealt with by machine washing alone. So, you could try using a specific stain remover on the fabric. Again, check any instructions to ensure that it is suitable for your dog bed material. As you will have been able to tell from the above product guide, there are several different varieties of dog bed available. Here is a rundown of some of the main ones to help you make your mind up. The classic style of dog bed is typically lowered in the middle with a raised edge running along the outside. The materials are varied, as are the shapes. Often, they are filled up with polyester or foam padding. The price point depends on the quality of the bed and the brand. On the downside, they don’t offer as high a level of support as other options. Like the standard dog beds above, these ones generally have edges which are even more raised. Sometimes, these are soft, whereas other times they are sturdier and provide a place to rest their heads. They are a great option for dogs who love to curl up, and the raised sides often help them to feel safe and protected. However, the issue about them not being as supportive as others remains the same. As it says in the name, this variety of dog bed is shaped like a donut with a deeply caved middle for your pup to sink into. Generally, these come in plush materials and are excellent for dogs who love to curl up. However, if your dog is old or infirm, they may struggle when getting in and out of these beds in contrast to other varieties. If your dog suffers from arthritis or another muscle or joint condition, these beds are designed to offer the support that they need. They are usually made with some variety of thick foam which is designed to cradle their body. Since they are close to the ground, they are easy to clamber onto for infirm or senior dogs. They are also great for thin or bony dogs who don’t get the support they need from other varieties of bed. Next up, we have the types of dog bed which are specifically designed to fit inside kennels or crates. Often, they can be used alone too. Getting inside a container is not something which many dogs enjoy but giving them a comfortable surface will help to encourage them and make their experience more pleasant. The other main type of dog bed that you can get is one which is raised up off the ground. The frames are made of varied materials and the supporting material is generally thin. Ultimately, raised dog beds provide a gap between the floor and your dog’s sleeping place, and it is also well-aerated. But if your dog struggles to climb up onto raised platforms, you may find that this is not a suitable sleeping location. Q: Why does my dog always want to sleep on my bed? A: Most dogs love to be close to their owners, which comes from an in-built desire for company, warmth, and protection. Pooches tend to be picky about their choice of bed, but if you find the right one, it will encourage them to sleep there more regularly. Q: What size bed should I get for my dog? A: As a rule of thumb, you should go for a bed which is six inches bigger at all sides than your dog. So, get the tape measure out! If you are unsure, you are better off going for the bigger size. Q: How do I introduce a dog to a new bed? A: Start by showing your dog that the bed belongs to them by putting on their favorite blanket and toys. When they start to explore it, you can offer positive encouragement and treats. Stay patient until they realise it is their place to sleep. Q: What sort of filling should I look for? A: For a more supportive bed, foam is a great choice of material. There are several different varieties available. Otherwise, you could choose a polyester fill for a more affordable option. Q: Are dog bed mattress waterproof? A: Not all dog bed mattresses are waterproof, so you should check the individual specifications for confirmation. 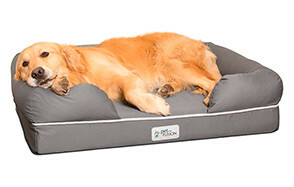 Our number one choice is this dog bed which comes with a memory foam mattress which provides comfort and support. The cover is both water and tear resistant, so you can be confident that it will stand the test of time. As well as being easy to spot clean and remove hair, you can also machine wash the cover when needed. The bottom of the bed is skid-proof and the design is stylish. For all these reasons and more, it comes at the top of our list.